Kings Point offers active adults countless amenities, fabulous golf and a rewarding social lifestyle. 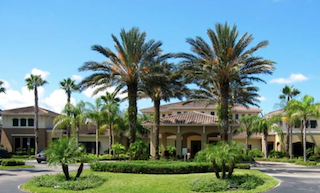 Active adults in Florida's Tampa Bay area love the lush beauty and resort-style amenities at Kings Point. This well-established community features both resale and new-construction homes, as well as multiple clubhouses and an exciting line-up of classes, clubs and activities. Upon completion the community will contain 5,277 homes. Opened in 1973, Kings Point enjoys a prime location in Sun City Center, although it is not associated with the Sun City Center community. The area is an ideal destination for golfers, as it features eight local courses with 162 holes of golf. Three courses are located within Kings Point: the 18-hole Kings Point executive course, the 27-hole Falcon Watch championship course and the 18-hole Specter championship course. A range of golf memberships are available for Kings Point residents. Beyond golf, Kings Point boasts a wide range of amenities spread across multiple courses and throughout the beautiful grounds. Residents enjoy indoor and outdoor swimming pools, varied hobby and game rooms, diverse arts and crafts studios, and state-of-the-art fitness centers. Social areas make it easy for neighbors to visit with friends or share a meal at one of the on-site cafes. Multipurpose rooms accommodate parties, special events and various activities. The Kings Point Clubhouse also contains the Borini Theater, a venue for large-scale performances. 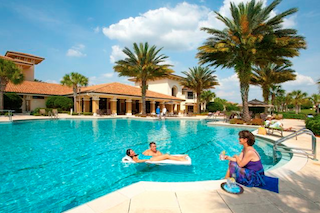 Multiple pools throughout the grounds at Kings Point let residents enjoy the fantastic Florida weather. Outdoor amenities rival those in world class resorts. Sports courts feature many popular activities, such as tennis, pickleball, basketball, volleyball, handball and shuffleboard. There are softball fields, lawn bowling greens and a fishing dock, as well as two fenced-in dog parks. Walking and biking trails wind throughout the grounds, letting residents enjoy brisk morning jogs or tranquil evening strolls. When it comes to homes, Kings Point features a mix of condos, attached villas and estate homes. Since opening in 1973, multiple builders have shaped the community with their own distinct floor plans. Earlier homes are now available on a resale basis, typically in sizes ranging from 800 to nearly 2,000 square feet. Kings Point also offers new-construction homes built by Minto. These are available in Duplex Villas, Paired Villas and Estate Homes. Duplex and Paired Villas include floor plans ranging from 1,360 to 2,163 square feet. They have two or three bedrooms, two full bathrooms and two-car garages. Most also include separate dens. Homebuyers who want a larger, detached home can choose from two models in the Estate Homes collection. The 2,878 square-foot Cascina model offers four bedrooms, three full bathrooms, a separate den, two covered lanais and a three-car garage. The 3,038 square-foot Rossano model has three bedrooms, three full bathrooms, a covered lanai, a three-car garage and the option of a den or fourth bedroom. With its elegant homes, impressive amenities, lush grounds and active community calendar, Kings Point provides an ideal retirement destination for active adults aged 55 or better.